to complete 25 combat missions and keep her entire crew alive. She flew for 10 months from November 7, 1942 to May 17,1943. 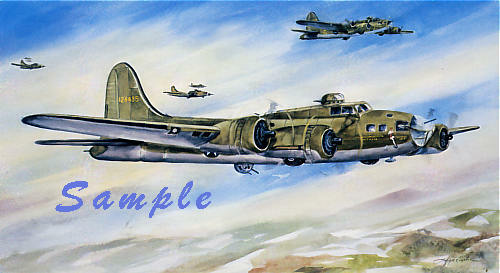 Image size is 21 1/4" x 36"
** This painting is available for pick up only, it will not ship safely.